PROUD TO SUPPORT DE SMET JESUIT HIGH SCHOOL! G.J. Grewe, Inc. is proud to support the De Smet Jesuit High School‘s annual Gala and Auction – Sparti Gras! This event takes place on March 2nd and provides scholarships for young men in the St. Louis area. 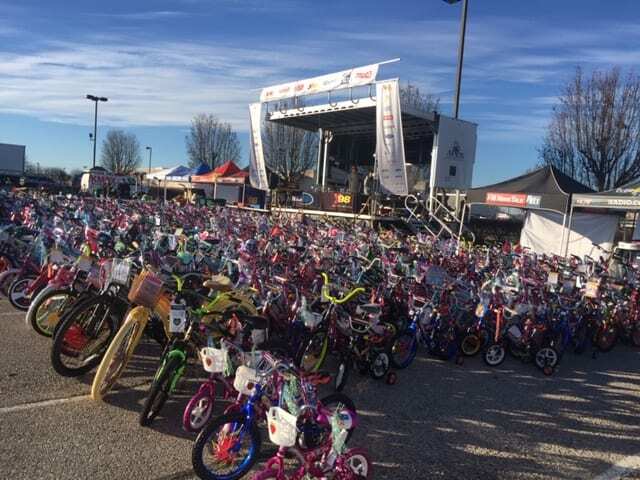 BIKES FOR TYKES- A HUGE SUCCESS! BIKES FOR TYKES HAPPENING NOW! The 2018 BIKES FOR TYKES event is happening now at GRAVOIS BLUFFS PLAZA! 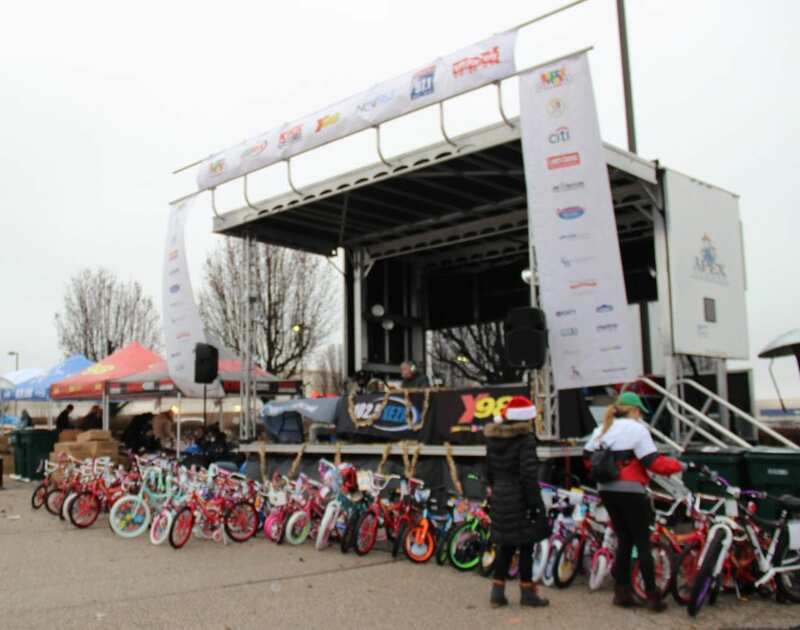 Bike and toy donations will be gathered on-site until 3pm on Sunday, December 16th! LAILA HAS FOUND A MATCH! We are absolutely thrilled to share that 10-year-old Laila has found a perfect match for her life-saving bone marrow transplant! There are still thousands of others in need of donors. 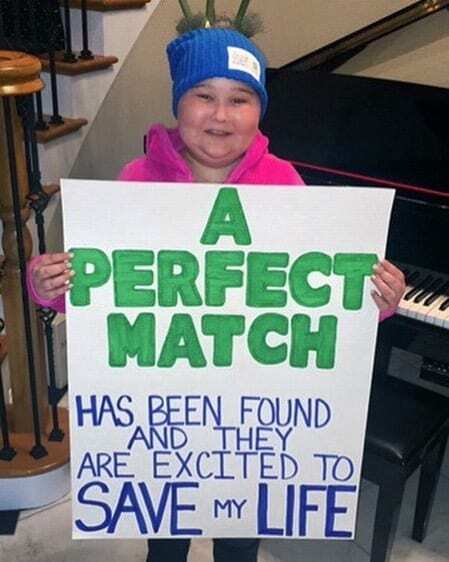 Please visit join.bethematch.org if you are interested in joining the Donor Registry! BIKES FOR TYKES COUNT DOWN! The 2018 BIKES FOR TYKES event kicks off IN ONE WEEK! 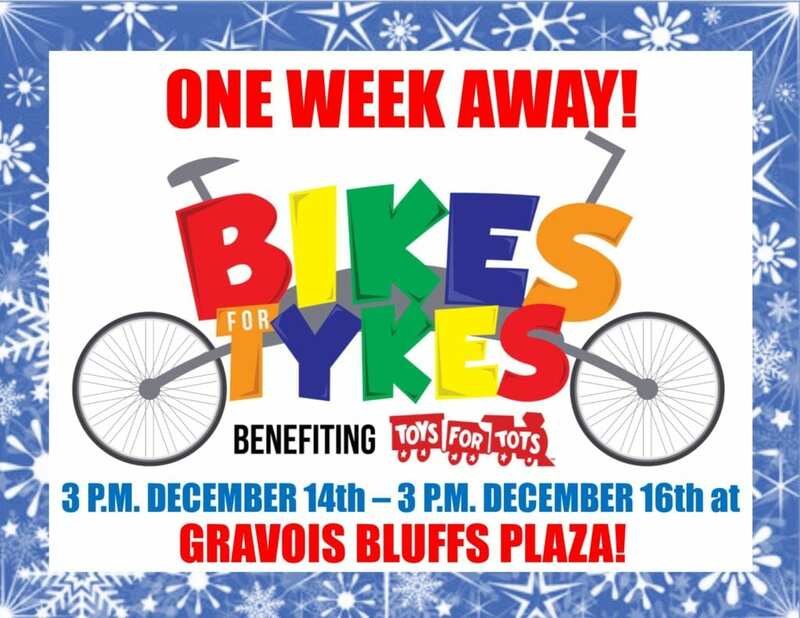 During this time bike and toy donations will be accepted for 48 HOURS at GRAVOIS BLUFFS PLAZA! We are so excited to be apart of this great cause and thank you all in advance for your charitable giving! ONE WEEK LEFT TO DONATE TO TOYS FOR TOTS! Only ONE WEEK LEFT to donate to the 2018 TOYS FOR TOTS campaign! Please visit one of these businesses or our office to help give local children a joyous holiday! 2018 TOYS FOR TOTS DONATION LOCATIONS! The 2018 TOYS FOR TOTS toy collection is officially underway until December 16th! 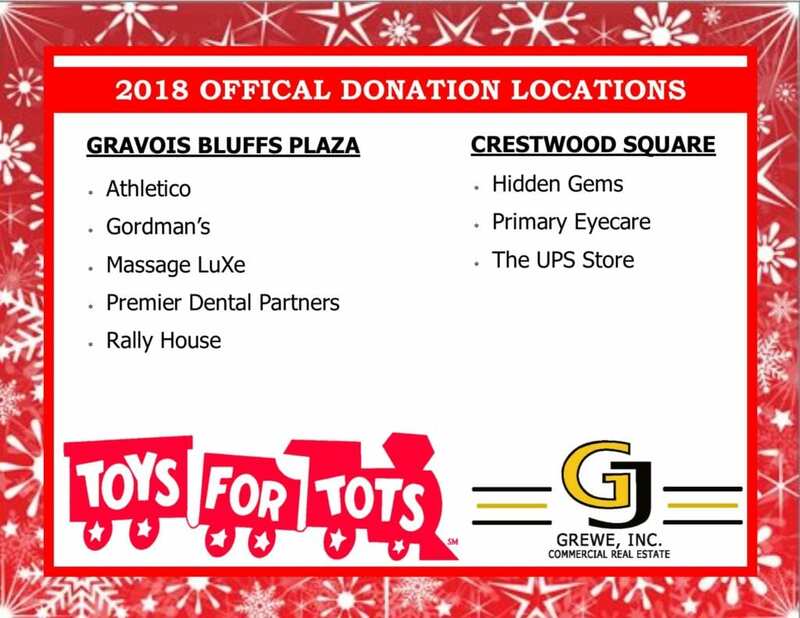 A big thank you to our participating Tenants at the GRAVOIS BLUFFS and CRESTWOOD SQUARE Shopping Centers. Please visit one of these locations to drop off your donation for deserving children in the St. Louis Community! 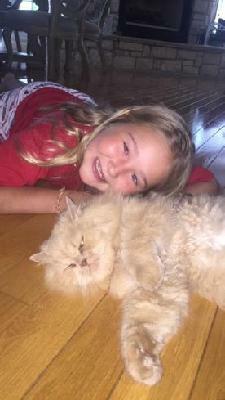 YOU COULD BE THE MATCH THAT SAVES LAILA’S LIFE!